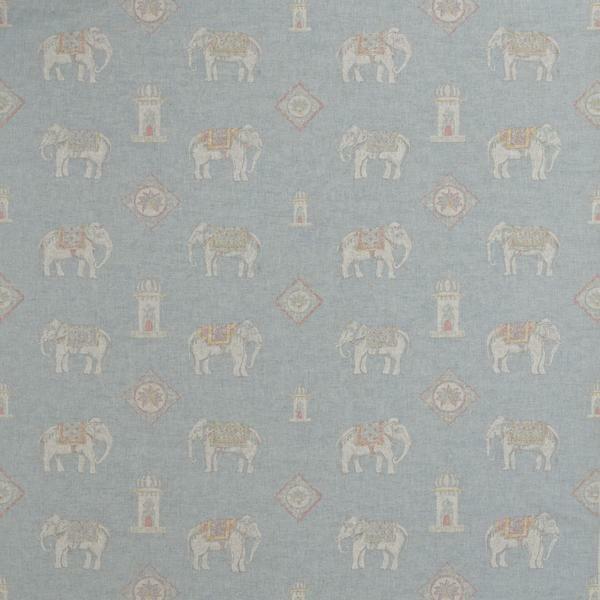 A sky blue linen blend cloth showing small painterly elephants padding through a dusty landscape, their tails twitching in the heat at the looming Indian taj's. 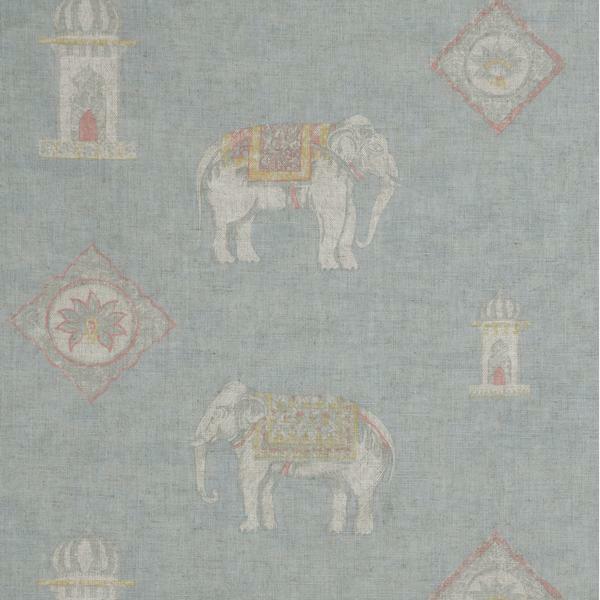 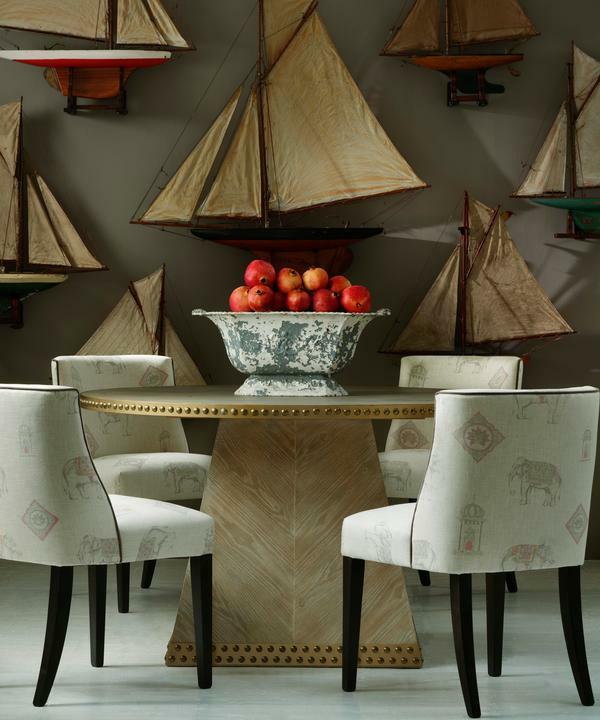 Bolo is a fabric full of character, billowing with romantic story that feels both age old and present. 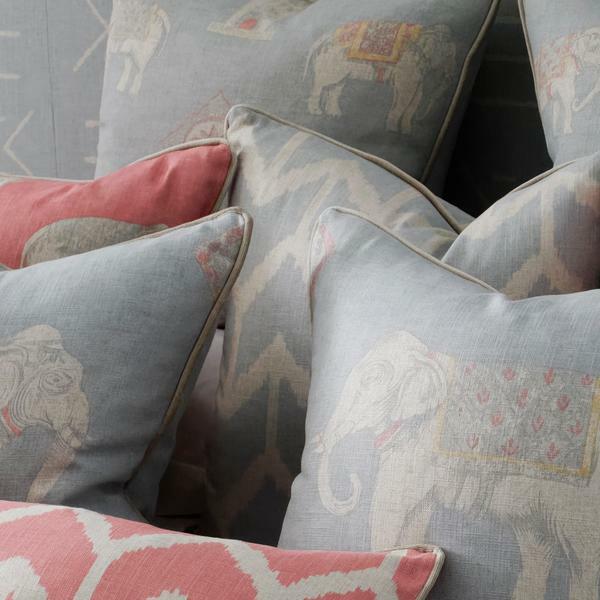 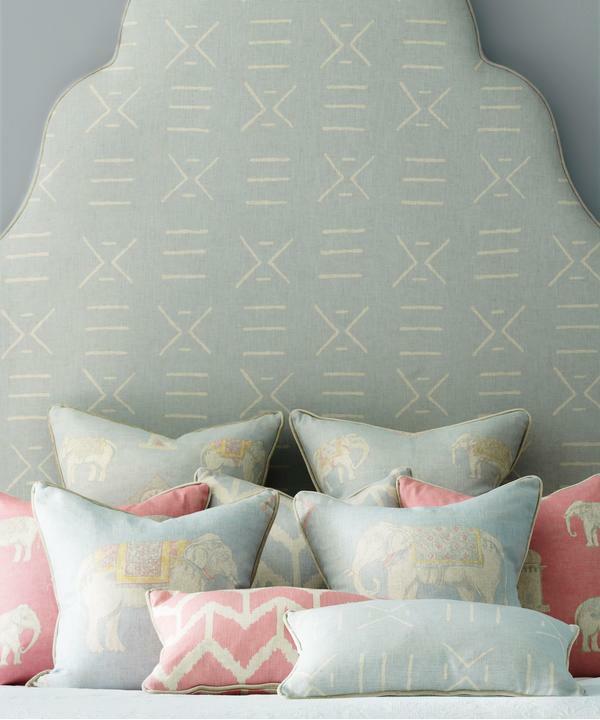 Be transported to heady India by the delicate details of the elephant's trunk or the flecks of vibrant pink and yellow in his saddlecloth.